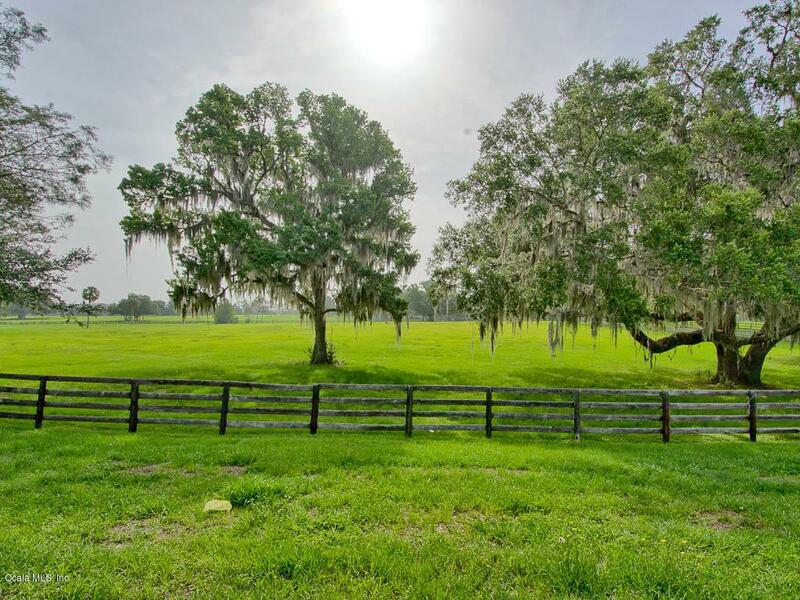 Just as you would imagine Ocala's countryside to be... 80 acres of absolutely gorgeous, picturesque rolling hillsides of lush green grass, open spaces and aged Granddaddy Oaks. 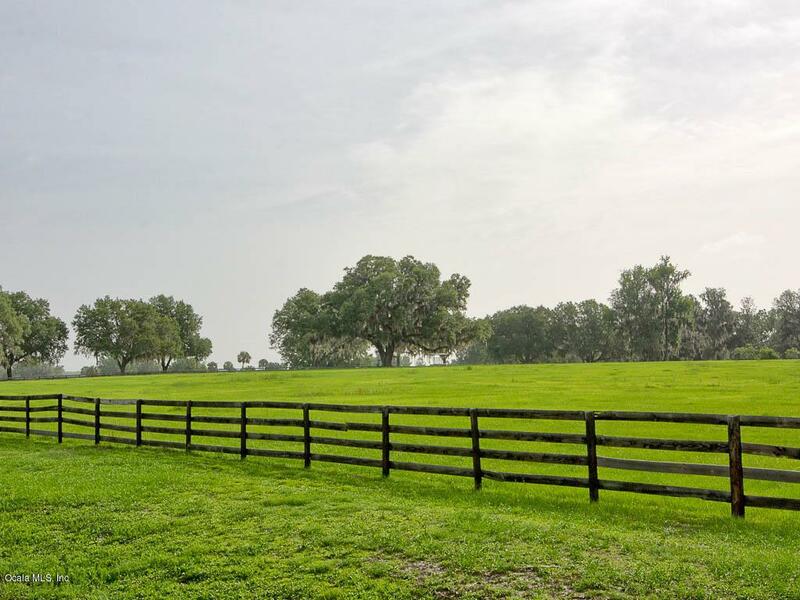 Greystone Manor Farm located in NW Ocala, Marion County, offers two barns consisting of one 20 stall CB center isle barn with an apartment & feed/tack and a foaling barn with 8 stalls & additional multi-purpose storage area. 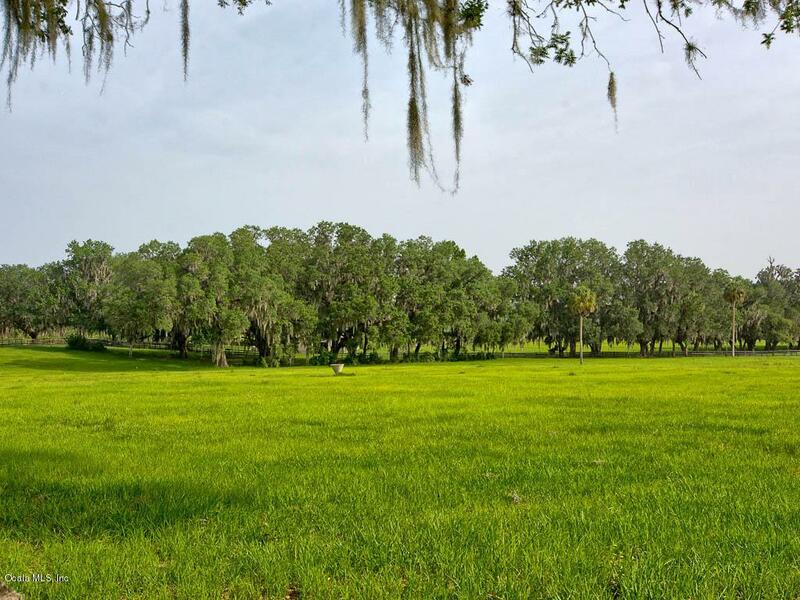 The main three bedroom, 2 1/2 bath home, with its' unique character and ample storage, features a spacious great room with vaulted ceilings and floor to ceiling wood burning fireplace, an upstairs bonus room and a lovely screened porch overlooking the pond! Also a 2/2 guest home or perfect for housing your help! 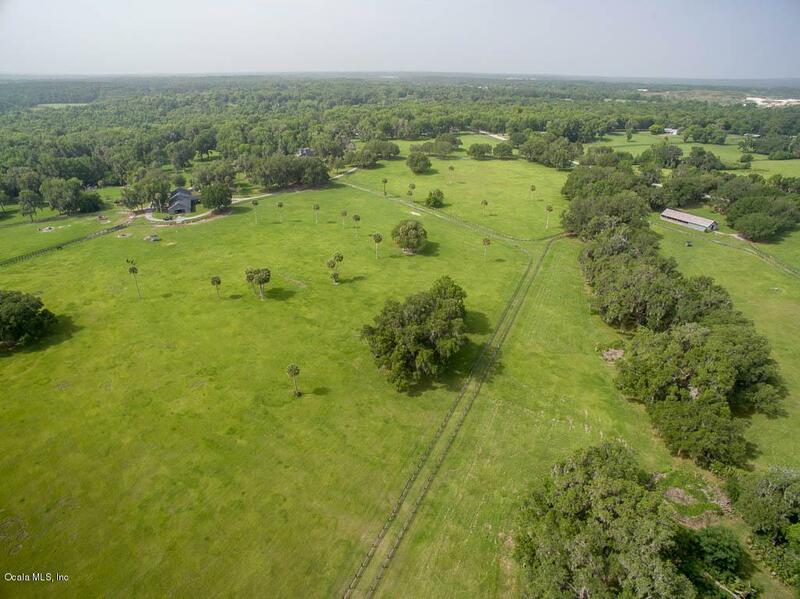 Easy access to the interstate and nearby to The Ocala Jockey Club,Ocala's newest world class eventing competition venue with cross-country courses, dressage and show jumping arenas. Possible commercial opportunity.